Austrian-born two-stroke tuning wizard Dr Joe Ehrlich came to England in the 1930s and set up his Ehrlich Motor Co in London after the War. His model S and Model T 350s used unusual split-single engines, and were unsuccessful. 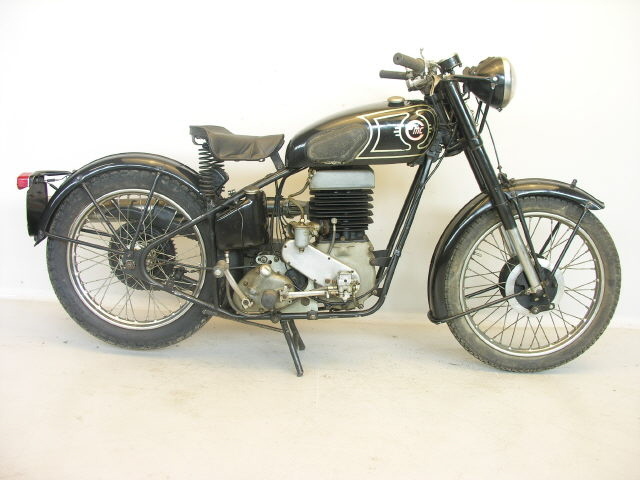 In the early 1960s Ehrlich built a 125cc racer on which Mike Hailwood scored good results. After a successful move to F3 car racing Ehrlich returned to bikes in the early 1980s, when his 250cc Rotax-engined racers were highly competitive in Grands Prix and the TT. After another absence, the veteran Dr Joe - now in his 80s - returned withyet another EMC racebike in 1995. 1984 EMC 250 Racer Isle of Man TT winning 1984 Junior TT winner, setting a new race record and a new lap record at 111.06 mph, 11.4 seconds faster than Con Law's record a year earlier. 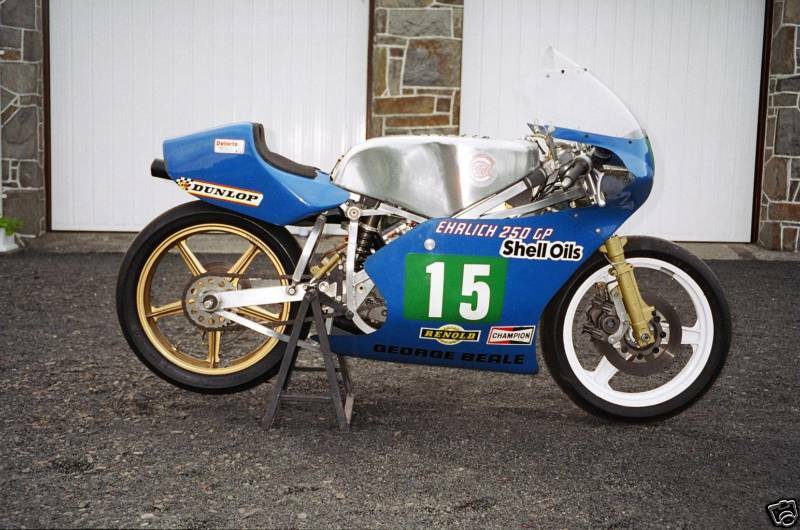 This is the EMC 250cc that Australian rider Graeme McGregor used to win the IOM TT Junior race in 1984. This machine was the EMC factory entry that year, the race team was attended by Dr Joe Ehrlich and team owner George Beale.